Doosan displayed 16 trucks on the stand with a range of attachments and bespoke industry packages and launched the brand new giant 25-tonne diesel forklift, along with the latest 3 & 4 wheel electric truck models, as well as displaying the award-winning Doosan G2 Euro Stage 4 compliant diesel engines, without the need for a DPF. For the first time ever, visitors were able to see the industry leading Fleet Management System, which was demonstrated live with an interactive display. This proved to be one of the greatest areas of interest to visitors, enabling larger fleet customers to understand how Doosan can help them manage their fleets more effectively and keep a handle on costs wherever they are located across the UK. 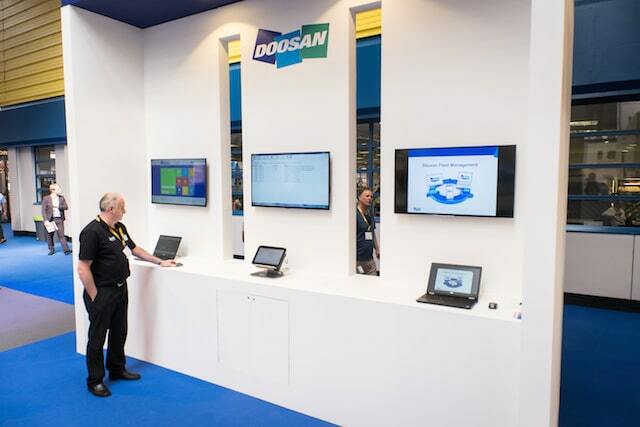 A key reason for Doosan’s strong participation at IMHX was to showcase how they can now provide the complete package. 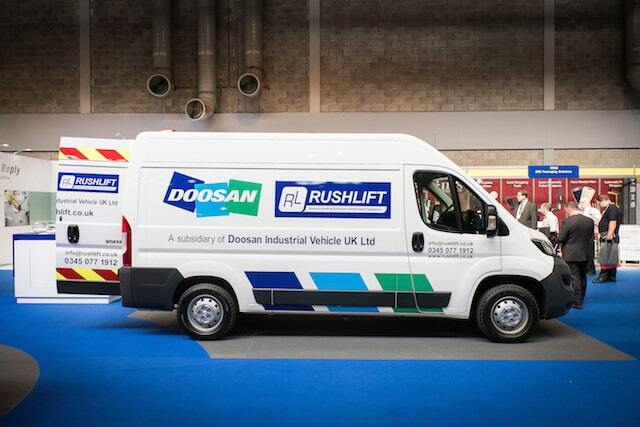 The acquisition of Rushlift Ltd (Feb 2015), who were previously the largest independent asset management and forklift service provider in the UK, enables Doosan to provide direct manufacturer sales, nationwide service, short and long term rental, in-house finance and the best fleet management system in the industry. In addition to this, Doosan continues to be in the fortunate position of having the best dealer network in the country, who are able to provide the best local service from their local depots, and are able to respond better to the needs of local businesses, than most centralised call-centres. Through these two factors, Doosan can offer The Best of Both Worlds. The unmissable giant 25-tonne diesel forklift, weighing in at just over 41-tonnes in net weight, saw many excited visitors climbing up the steps and inside the cabin for a closer look at Big Truck luxury. 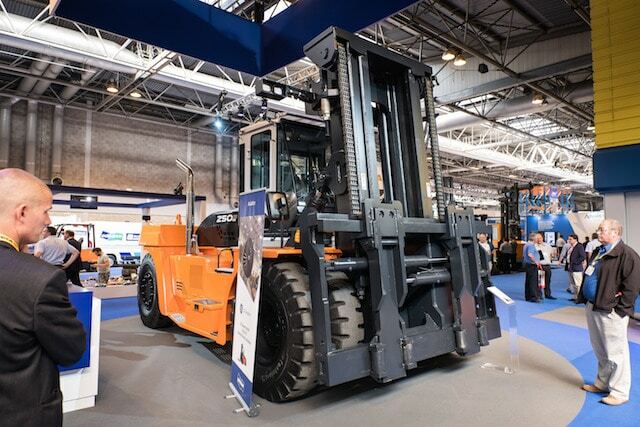 This machine is ideally suited to the steel industry, ports, container and cabin handling and heavy manufacturing industries and Doosan were delighted to announce at IMHX that this particular truck was the first in the UK or Europe and has just been sold to General Electric at Heathrow. 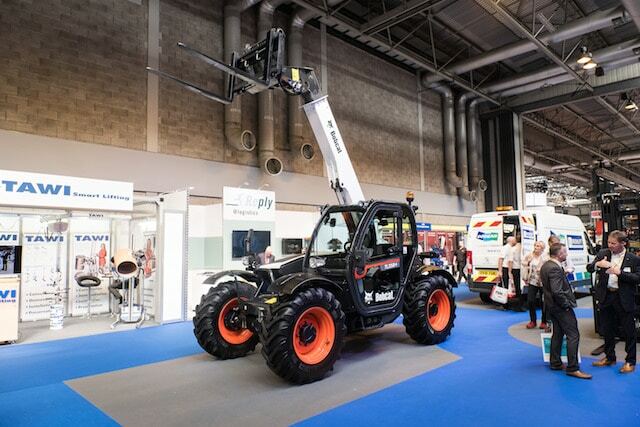 One of Doosan Group’s other companies, Bobcat, exhibited their latest new tele-handler T35105 on the Doosan stand, which was a great opportunity for visitors to see Doosan and Bobcat join together, demonstrating the size and scale of the Doosan Group. 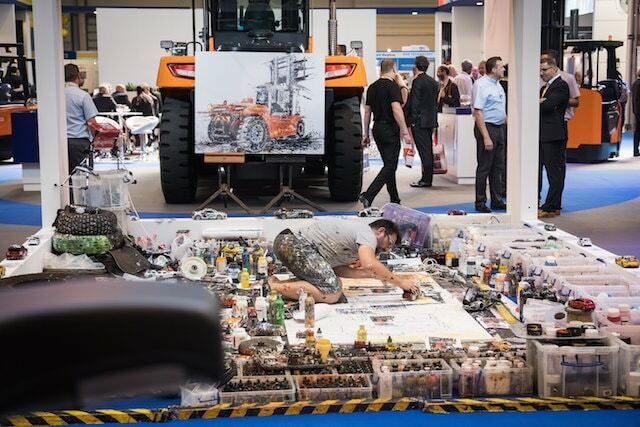 A centrepiece of the stand, and the talk of IMHX was the live entertainment display by unique artist Ian Cook from PopBangColour. This was arguably the most popular attraction at the entire exhibition with both visitors and co-exhibitors, with people expressing how impressed and fascinated they were how pictures of forklift trucks were painted using only remote control cars and scale model forklifts, along with Doosan forklift parts. 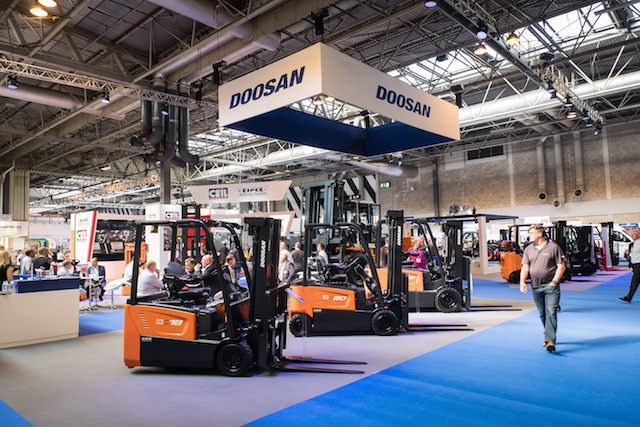 Doosan were delighted to support the SHD Logistics stand, where they showcased the past, present and future of the logistics industry – the Doosan Concept forklift truck was exhibited, and initiated many interesting conversations. 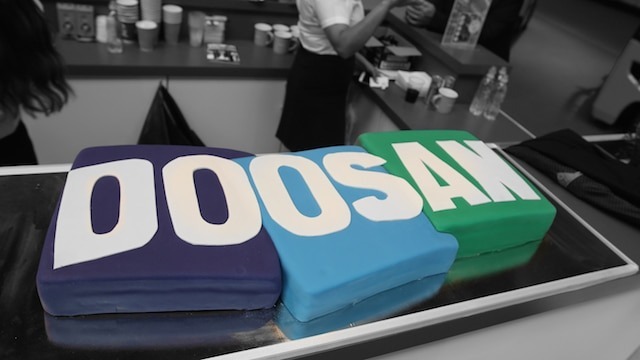 This year also marked the 120th birthday for the Doosan Group, and we would like to thank everyone who visited the Doosan stand to help us celebrate the strength of our organization.